‘We need to return to the earth, to the soil, to the water, and the air. We are called to enter into an era of protection and awareness. Humanity needs to understand that we are part of the overall energy, we come from that energy, and we need to turn our eyes toward our natural self. We can’t survive pretending to be artificial beings. We are water, we are matter, we are air, we are energy. On Sunday, June 3, 2018, at 2:00 p.m. local time in Guatemala, Volcán del Fuego erupted, the most violent eruption of the last 40 years. It impacted the central and southern regions of the country: Sacatepéquez, Escuintla, Chimaltenango, and Guatemala City. The volcano exploded and launched pyroclastic flows (a mixture of sand, rocks, and gases of high temperatures +600 degrees) that directly hit the communities surrounding the volcano. In the most remote areas, the effects included rain, sand, and ash, which interrupted air traffic in the afternoon and evening of Sunday, damaging roofs as well as crops. 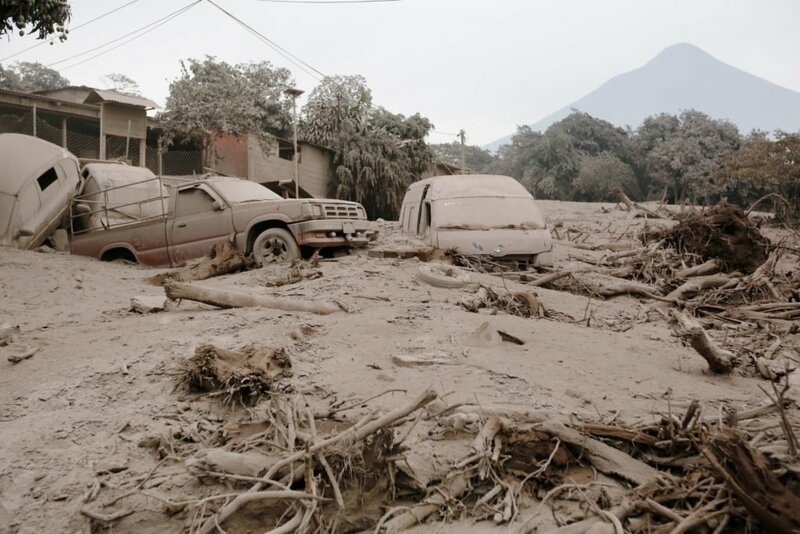 The Ecumenical Christian Council of Guatemala (ECCG), one of Global Ministries partners in Guatemala along with CONAVIGUA, has been active assisting communities near the volcano, particularly in the province of Esquintla where the Catholic Diocese of that town is also working. ECCG is working through the post-emergency stage of the crisis by collaborating in the rehabilitation of communities, ensuring food security and psychosocial assistance to the victims, specifically the ones that still live in shelters provided by the Diocese.